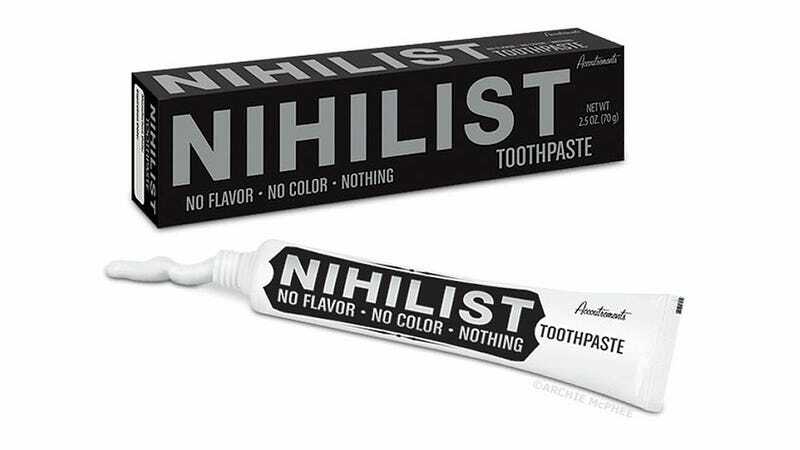 Does This Colorless, Flavorless, Nihilist Toothpaste Even Exist? What's the point of brushing your teeth every morning and every evening with this bland nihilist toothpaste? They're just going to get dirty again and again. And speaking of cavities, who's to say they exist? Or the dentists who treat them? Or even the world where these supposed dentists live?